The starter link is used to connect the prong links to the metal plate of the collar. 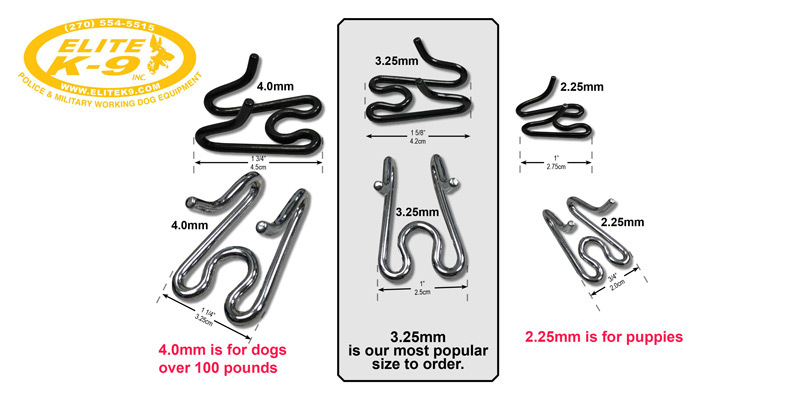 3.25 MM prong size is recommended for Dutch Shepherds, Labs, Malinois and German Shepherds. Herm Sprenger Pinch Collars are effective training devices when worn under supervision. They distribute correction pressure evenly around the dog’s neck. The prongs of the collar unfasten to allow the collar to be placed on the dog. Links may be added or removed for a proper fit.